Here are the Hot Jobs in the New Bedford area from the NewBedfordGuide.com jobs database, as of April 14, 2019. Click the right arrow to browse the next job. Want your job listed here? Contact leo@newbedfordguide.com. For the past 100 years, Sid Wainer & Son has been at the forefront of the food industry. We travel the world to source, grow, and bring to the table the most unique products and ingredients on the face of the earth. We tap into our extensive product knowledge and experience in the culinary field to educate our customers, suppliers, and one another. Our customers are discerning food lovers; the top restaurants, retailers, airlines, hotels, caterers and cooking shows in the world. The Greenhouse Worker will assist with the daily greenhouse operations that include systems seeding, sampling, planting, watering, and harvest. Our Greenhouse is located right near our headquarters in New Bedford! • Hand work including: fertilizing, picking, harvesting, and packing seasonal vegetables and herbs. • Communicate and problem solve with Farm Manager. • Assist with plant production. • Provide excellent customer service and public relations. • Assist with inventory control and product merchandizing. • Perform team member duties as needed. • Identify potential pest or disease. • 1+ years of greenhouse and watering experience preferred. Amazon is an E-Verify employer, so be prepared to present a document with a photograph! All job offers are contingent on meeting eligibility requirements. Shipping and Receiving – NWD, Inc. Experienced Warehouse workers preferred. Fresh/Frozen Fish Products. Duties will include; Wrap Pallets, Sort Product, Unload Trailers. 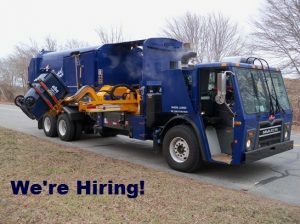 Part time work/may be opportunity for full time, Monday/Wednesday/Friday Nights 4pm til trucks loaded. Lifting 10lbs + boxes/Bending/Repetitive movement. Call us today (508).851.7862 and join our team of Professional Movers!!! Full Time & Part Time Positions Available. 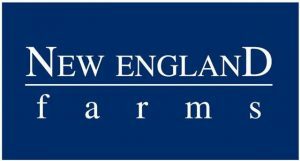 Family owned and operated since 1934, National Lumber is the largest independent building materials supplier in New England. We believe in offering satisfying careers, not just jobs. Currently we have an opportunity available for a Wood Components Assembler in our manufacturing plant – Reliable Truss and Components – a division of National Lumber. Ambitious individuals who want to move up in a company should apply. This is a nice opportunity to join a growing company and work with a friendly team. Duties include setting up lumber for trusses and wall panels on an assembly table based on production shop drawings. This includes using settings, stops, jigs and plates for the best production efficiency. Responsibilities also include verifying that all material for orders is the correct size, species, grade, angle and length. Knowledge of lumber products and wood construction very helpful. State of the art technology will be used. Full time with full benefit package. Merchandiser/Gardener – Cavicchio Greenhouses, Inc. Working at the direction of the Merchandising Supervisor, the Merchandiser is responsible for maintaining the appearance of Cavicchio product on display in one or more retail stores. The successful candidate will be reliable and execute the merchandising and maintenance plan to promote sales. Our work environment is rewarding, challenging, and tech-savvy. 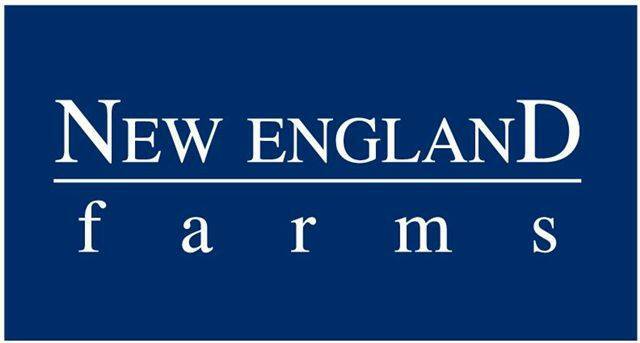 We are a modern farm – operating more than 200 beautiful acres across three locations in Massachusetts. We are diverse, use golf carts to get around, and have a casual dress code. Our office is a farmhouse, and our workspace extends from our state-of-the-art greenhouses to the fields outside. We work hard to deliver exceptional service to our customers in our three wholesale areas: the Pickup Area Greenhouse, Landscape Barn and Stone Yard, and our Nursery at Lincoln Road. We encourage forward thinking and cultivate career growth. Let’s grow together. Don’t delay, apply today to secure your spot working around all things green for Spring! CNAs and HHAs – LifeStream, Inc.
At LifeStream, Inc. we firmly believe that our employees drive our success as an organization. If you are someone looking to make a difference in the lives of individuals with disabilities, we would love to have you on our team! We are hiring full and part-time Certified Nursing Assistants (CNA) and Home Health Aides (HHA) to provide assistance to individuals we serve with daily living skills, including emotional and social support, in their homes and in the community. No experience is required to qualify for these positions within the agency. You need a current CNA or HHA certification, a valid driver’s license and access to a vehicle. 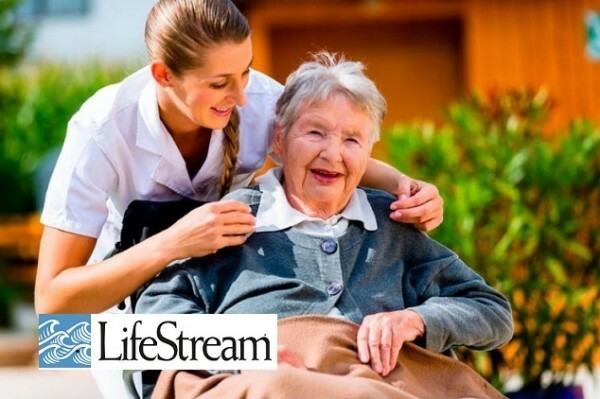 LifeStream, Inc. offers extremely generous benefits to our employees, including health, dental, vision and life insurance, free short and long-term disability insurance, discounted gym memberships, 401k retirement savings plans, flexible spending accounts and tuition reimbursement and remission plans! Shift differentials are offered, dependent on the location, as well. We also offer our employees the opportunity to participate in seasonal farm share programs and company-sponsored activities and recognition events. To apply, please visit our website at lifestreaminc.com/careers, where you can see a full list of our current job openings. Schedules vary by location. You can also stop in at 13 Welby Rd., New Bedford, MA 02745 for a walk-in interview on Tuesdays from 9am-11am or Fridays from 1:30pm-3:30pm. Any questions can be emailed to hr@lifestreaminc.com. A full job description is available upon interview. Swimming Pool Installer and Service – Aaron Pools & Spas. Jump into the pool industry and join Aaron Pools & Spas hard-working Swimming Pool Construction or service crews! No experience needed. Outdoor work. 40+ hours during peak season. Pays $13 – $15 an hour. Looking for a skilled and dedicated worker with a positive attitude that shows up when scheduled. No education or experience required. We will train you! Alma gets results for kids. After fewer than three years at Alma, our scholars outperform their district peers in reading ability and surpass their suburban peers in mathematics achievement. In addition, we’re known for being a highly inclusive school. Over 30% of scholars at Alma receive some additional academic or behavioral support and we have been nationally recognized for our effectiveness in serving this population. • Manage the staff break room supplies – order coffee etc. We are looking for an energetic and friendly person that is able to keep track of visitor’s, making sure they are signing in and out, answering the phone and transferring them to the correct Department. Also to be able to complete any and all clerical work given. • Answer all incoming calls, direct calls to the appropriate staff and assist callers when needed. • Greet and direct visitors to the company in a professional, friendly, hospitable manner. • Handle ordering, receiving, stocking and distribution of office supplies. • Perform other related clerical duties such as photocopying, faxing, filing. • Ensure lobby area, conference room, kitchen and common areas are kept neat, clean and stocked with appropriate supplies. • Assist Controller with accounts payable data entry, vendor inquiries and projects. • The minimum qualification is a high school diploma or equivalent. • Basic computer certification would be advantageous. • Working experience of clerical skills such as typing, copying and faxing would be given preference. Tegra Medical has an opportunity for a Clean Room Packager to work with medical devices in a clean room environment. • Responsible for the assembly, labeling and packaging of precision medical device components in a controlled environment room. Tegra Medical is an Equal Opportunity Employer. M/F/D/V. Inventory & Receiving: Equipment Pickups – Load Truck, Clean, Inventory. MED is a small corporation based in New Bedford, MA that is rapidly growing. With our recent rapid growth we seek a hard working team-member to help process our inventory aka: merchandise faster. • Solid computer understanding to accurately type equipment make, model, serial number and many other fields into the computer. To apply, send a resume and note as to why you should be considered for this role to Garret. • Customer Service, Basic selling skills, Front-end operations, Merchandising and retail operating standards. This Sony Experience Expert ensures Best Buy delivers a world-class end-to-end experience across all aspects of home theater products with emphasis on the Sony ecosystem. This role works closely with customers and other employees to demonstrate, promote and sell a variety of exciting Sony products in the Home Theater Zone and across the store to ensure customers’ end-to-end needs are met. • Build relationships with retail customers, while providing them with relevant and memorable product demonstrations. • Use innovative customer engagement and creative sales techniques to increase sales of Sony ecosystem products in the Home Theater Zone and Home Theater Department. • Maintain a high level of product knowledge within new technology, HT product, advanced experience zone product and across the Sony ecosystem. Interact with vendor partner and market teams regarding insights on performance, promotions, and sales best practices. • Maintain department’s merchandising and readiness to service customers throughout the day. • Make complex technology simple for clients to understand and see unique value. • Demonstrate excellence in execution of selling skills, and selling strategy as evidenced by coaching forms and Customer Metrics (NPS and Mystery Shops). • Support sales strategies in partnership with the Sales Leader to achieve operating results, growth objectives, and overall financial performance goals. • Job includes preparing subs and sandwiches daily, filling and rotating general stock, dating all goods. Savoy Nursing & Rehab Center is looking for a responsible person to work in Housekeeping 3-4 days per week and Laundry 1 day every other week. We are a small, 39-bed long term care facility seeking someone with experience in a long term care setting. We are an Equal Opportunity Employer. Interested candidates should submit a resume through Indeed.com or come in to complete an application. • Food preparation including making one of our customer-favorites….coffee! • The ability to multi-task, perform repeated bending, standing, and reaching, and occasionally lifting up to 50 pounds. Assists the Senior Activities Coordinator/ Administrative Coordinator in developing, maintaining and supervising adult social day activities for senior citizens. Assists Senior Activities Coordinator with the operation of Adult Social Day Care Program by planning and leading daily activities. Also responsible to assist the Coordinator with recruitment of participants and volunteers. Assists the Coordinator with requests for the funding of special events. Assists with planning and coordination of special events. Responsible for monitoring the activities and response to activities of each participant in order to formulate a weekly progress note. Works as a member of the therapeutic treatment care team and other staff assigned to the Adult Social Day Program. Interacts daily with participants. Assists the Elder Mental Health Outreach Team and Fresh Start Program staff with client service plans and home visits. Possession of a valid Massachusetts’s Driver’s License and good driving record. Operates a motor vehicle on a regular basis. Must be certified and maintain certification in CPR and First Aid. Must have a Criminal Offender Record Information (CORI) check, mandatory by MGL Chapter 6 Sec. 172C. Inspects, measures and records information of real and personal properties for ad valorem valuation. Verifies all information on property record card; produces quality and quantity necessary to meet Massachusetts appraisal standards. Assists in the re-mapping of parcels that need to be split or combined. Translates the field data onto computerized property record cards, and makes the necessary calculations and computations from cost and depreciation tables to determine the property’s valuation, when necessary. At least two (2) years of experience in the assessing, building, or appraisal field. Possession of a valid Massachusetts driver’s license and good driving record. Possession of Massachusetts Accredited Assessor (MAA) designation desired. Mandatory CORI (Criminal Offender Record Investigation) background check per City Council Ordinance effective May 14, 2013. Examine, assess and stabilize patients at emergency scene, i.e., hemorrhage control, treatment for shock, immobilization of fractures, bandaging, proper treatment for burns, poisoning or drug overdose, deliver newborns, manage mentally disturbed patients, etc. Obtain medical history, check vital signs; advise/inform Medical Control at the hospital of diagnostic indications. Perform definitive life support; administer treatment and utilize advanced life support equipment and procedures as directed by authorized physician and State treatment protocols, i.e., endotracheal intubations, defibrillation, synchronized cardioversion, nasogastric intubations, closed chest decompression, intravenous administration of drugs and fluids, external trans thoracic cardiac pacing, and interpret 12 lead EKG’s, etc. Respond to a wide range of emergency situations as required. Control scene of medical emergency; conduct triage, treatment and transportation at mass casualty incidents. Document pre-hospital care received by patients to facilitate admission to health care facility. Prepare patients for transport; monitor patients in ambulance to maintain patient stability, administer additional treatment when necessary. Operate ambulances and other emergency vehicles as needed to and from scene of emergency. Current certification as an Emergency Medical Technician-Paramedic by the Mass. DPH, and current certification as a CPR healthcare provider by the American Heart Association (M.G.L., Ch 111C, Section 3 and 6). Current certification in Advanced Cardiac Life Support by AHA. Subject to re-certification by the State Office of Emergency Medical Service. One year of Paramedic experience preferred but not required. Knowledge of pharmacology, and drugs used in advanced life support and possible reactions; Federal and State drug laws; pathophysiology; advanced human anatomy and physiology; medical telemetry; Advanced Life Support equipment; MGL, Ch 89, 90, and 111C; Mass. DPH re-certification requirements; regional communication protocols. Knowledge of major transportation routes in the locality, defensive and emergency driving procedures, emergency medical service vehicle limitations, local emergency medical service Point-of-Entry procedures. Certain immunizations will be recommended and/or required prior to commencement of employment duties. Develops and implements a comprehensive communications plan that includes short- and long-term strategies for building community awareness about and support for the Department. Informs the PIO, Office of the Chief of Police and Municipal leaders in relevant and important media inquiries, and keeps all parties updated on upcoming and ongoing news stories. Identifies and pitches news story to the PIO ideas through a range of proactive media strategies. Assists the PIO in leading communication during crisis situations and unanticipated incidents, including timely dissemination of information to the media, families, staff and the community. Coordinates writing, editing, design, production and distribution of clear, concise, “community-friendly” print and digital materials (e.g., letters, brochures, social media outlets, articles, videos, fact sheets, fliers) to communicate the Department’s goals and priorities to various partner organizations, community leaders and residents. Collaborates with technology staff to write and update content on the district’s external website, social media tools and other on-line resources to ensure accuracy and consistency of information. Bachelor’s degree in, or knowledge equivalent to, Journalism, Communications, Marketing, or related field. Successful candidate should have three years’ experience in the public relations/communications/marketing field at varied levels and with increasing responsibility; or three years’ experience in print and/or electronic journalism. Or any equivalent combination of education and related experience.